The five people had gone for a swim despite a ban on the activity by the Goa government following the onset of monsoon in the state. In a shocking incident, three tourists from Maharashtra drowned at Goa's Calangute beach on Monday. Two others who had gone for a swim are believed to be missing. A group of 14 tourists had arrived in Goa on Monday, June 11. They had come from Akola, Maharashtra, by train and headed straight to the beach at Calangute, reports ANI. One of the deceased was a policeman identified as 32-year-old Pritesh Gawali. His 27-year-old brother Chetan Gawali also drowned due to the strong currents. The other person who drowned was 25-year-old Ujwal Vakode. The two missing people were identified as Kiran Omprakash Mhaske and Shubham Gajanan Vaidya, the news agency reported. The five people had gone for swimming despite a ban on the activity following the onset of monsoon in several states in India. "Immediately after reaching, all of them ventured into the sea at the Calangute beach in North Goa district - located about nine km from Panaji - at 6 am. Due to strong undercurrents, five of the tourists got swept away into the waters," a police official was quoted as saying by ANI. The locals present at the beach managed to pull out the three victims, however, it was too late by then. They were rushed to a nearby health centre at Candolim but were declared brought dead. Pritesh Gawli was a constable with Maharashtra Police. The police official further added that the bodies of the deceased would be handed over to family members after the formalities are completed, reports The Times of India. 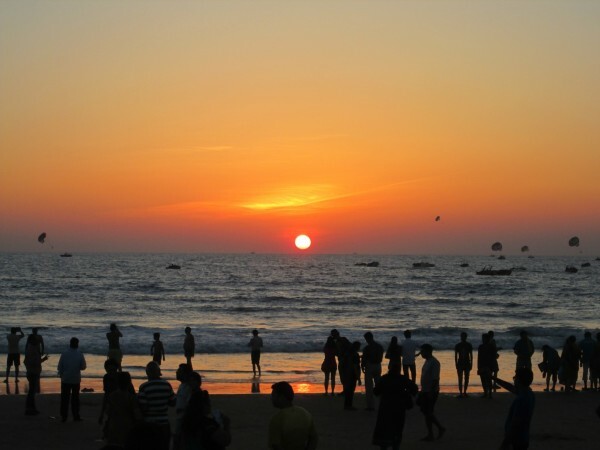 The Goa government had earlier issued a notice asking tourists not to swim at the beaches for at least four months. The notice also mentioned a 61-day fishing ban from June 1 to July 31.